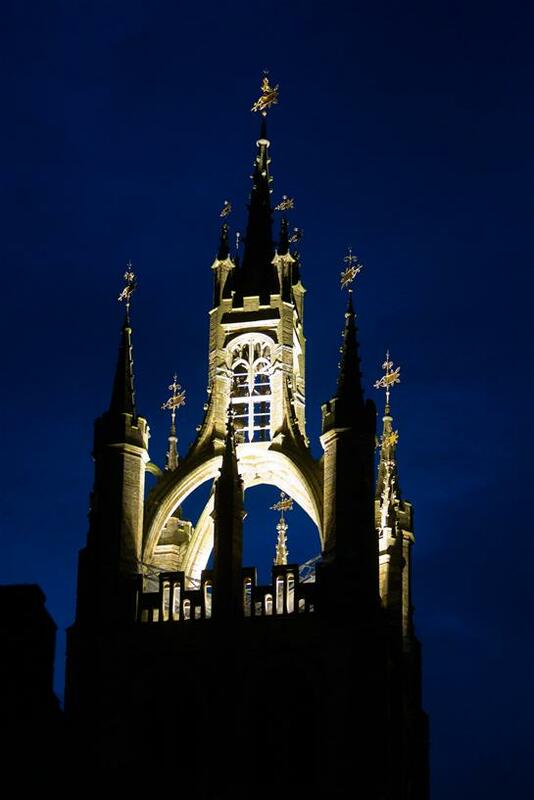 Dedicated to St Nicholas, the patron saint of mariners, the unusual fourteenth century lantern roof of Newcastle Cathedral long served as a beacon to aid navigation into the port – the church was used as a lighthouse until the eighteenth century. The lantern lights returned just a few months before our visit, thanks to a generous £20,000 grant from the Fenwick Family Trust and were officially unveiled in December 2011. Appropriately, we began Evensong with the Introit Hail Gladdening Light by the Irish composer and pupil of Stanford, Charles Wood. The text for the anthem, written a century ago this year, is John Keble’s 1834 translation of the ancient Greek hymn Phos Hilaron – known as the “Lamp Lighting Hymn” – the oldest non-Biblical Christian hymn still in use as part of the Compline service and sung at Vespers in the Eastern Orthodox Church. 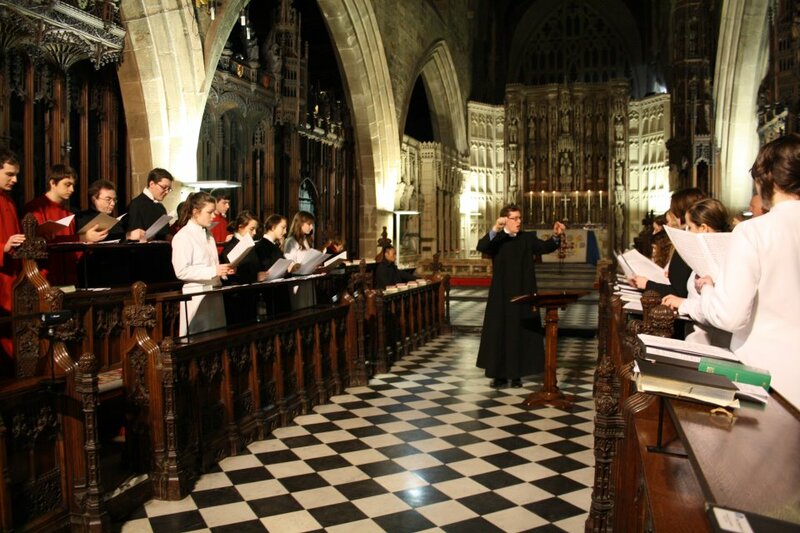 The acapella piece is arranged for double choir and sung antiphonally – the second choir responding to the first. Dyson was just twenty four when he composed this setting in 1907 during a study tour funded by a scholarship. It is a surprise that such a quintessentially English sound was composed abroad; perhaps the work recalls his native Yorkshire? Sir George had a humble start in life, born in 1883 in Halifax, the son of a blacksmith (was he the inspiration for the famous Four Yorkshiremen sketch?!) It is rather a distasteful irony that programme notes variously describe the piece as ‘bombastic’ and ‘explosive,’ composed as it was in Dresden; the scene of such horrific destruction less than forty years later. 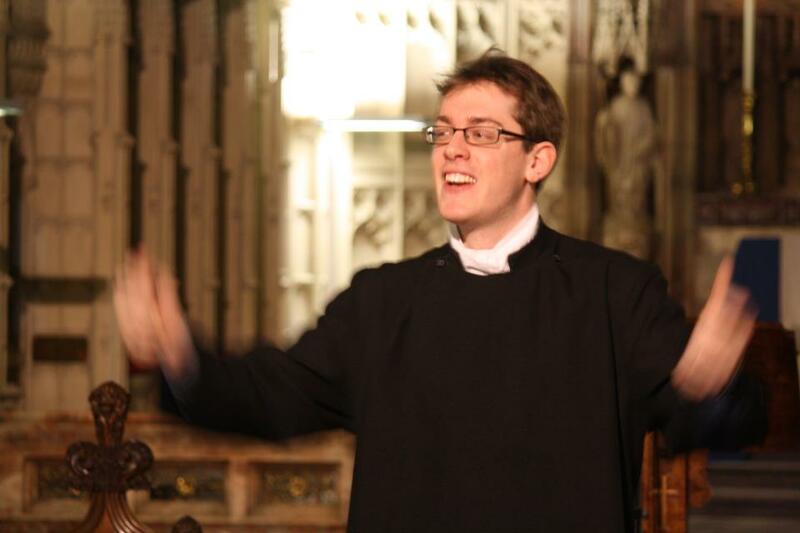 Dyson said; “Ours is an age of texture” – a description that sums up the composition of the Nunc Dimittis – which, like the song of Mary, begins and ends in unison but develops into a spacious layered melody in between. An appropriately deep and resonant tone which, although another ‘team’ effort, seems to give slightly more attention to the lower voices. The first half of the Gloria is in unaccompanied harmony with the piece returning to unison for the final line “World without end” the voices creating a perfect fifth from the organ, for the decisive Amen that brings Simeon’s song to a close. The Preces and Responses were a setting by Bernard Rose (1916-1996) with the wonderful “and make thy chosen people joyful” treble line referencing the chimes of the clock at Magdalene College Oxford, where Rose was organist and Master of the Choristers for whom the Responses were composed (incidentally, Charles Wood, who wrote the Introit, composed the chimes for the clock at Gonville and Caius College Cambridge). The lights flickering in the cathedral signalled the power cut that heralded the slow demise of the organ registration. 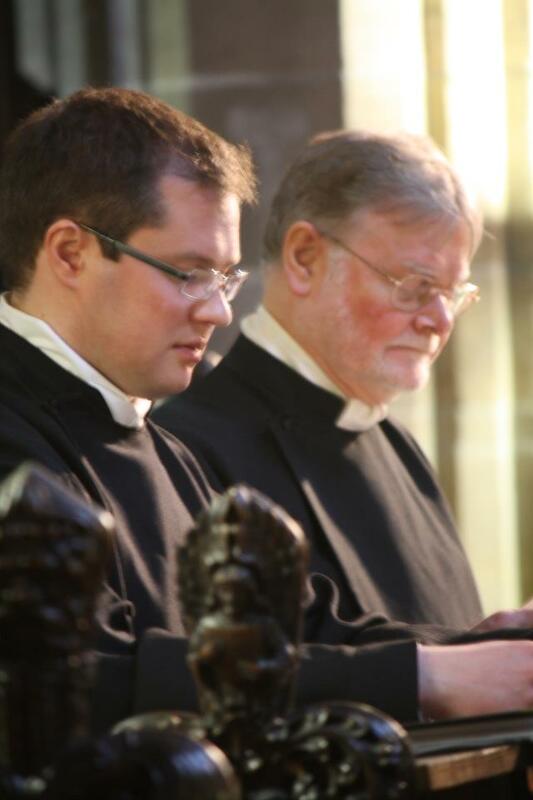 All in a days work for our talented organists! The force was most definitely with us for Zadok the Priest; one of Handel’s Coronation Anthems written for George II and performed at every coronation since (the text, from the Book of Kings, has formed part of every English Coronation since that of King Edgar in 973 in Bath Abbey). Standing and looking suitably deferential throughout the ninety second introduction was just as difficult as annunciating the long semiquaver runs in the Amens! 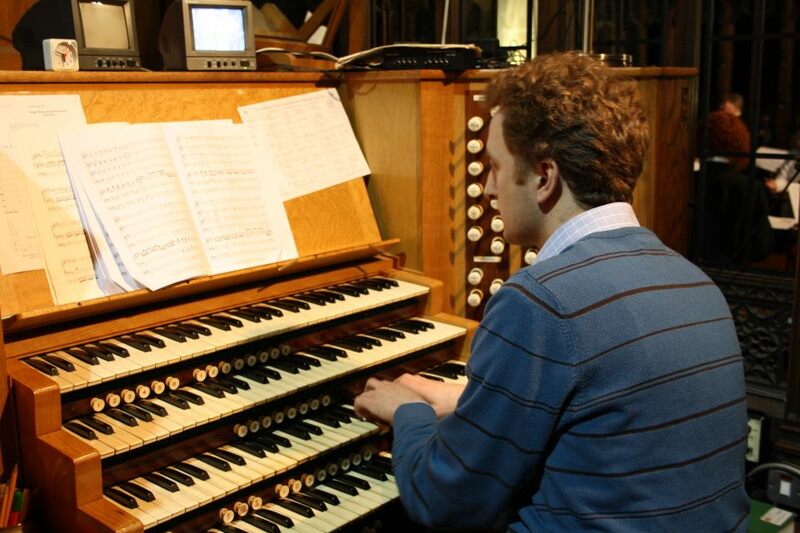 The temptation to scratch or fidget required such concentration that it would have been easy to miss the brief flicker of the cathedral lights, had they not hailed the gradual erosion of the organ registration. Those with line of sight to the organ mirror would have seen David Hinitt’s hands waving in horror as the King was anointed, when the organ breathed its last; the power cut having claimed its only victim. Harvey’s conducting became clearer than ever after the power cut silenced the organ during Zadok! The whole matter was handled so seamlessly by Dave, David and Harvey that they would have surely been knighted by King Solomon himself. 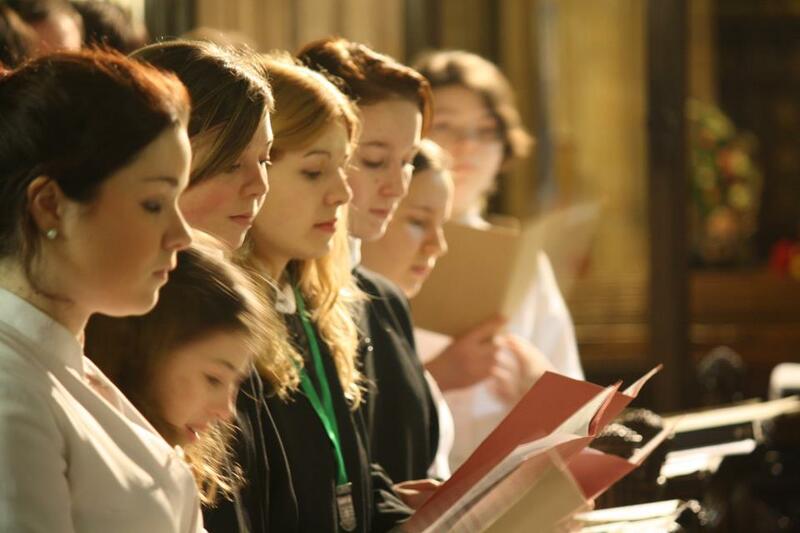 The surprise drama of the anthem was just one of the memories of our sojourn to Newcastle Cathedral in snowy February. A big thank you to Harvey Brink, David Hinitt and Kat Gourd for arranging and organising the trip, to Dave Stevens and his fiancée Katie-Bethan Holmes for their impeccable hosting, to all at St Nicholas Newcastle for their warm welcome – and of course to our own vicar, Fr Peter and to you all, for allowing us to flee Southgate on a singing weekend!